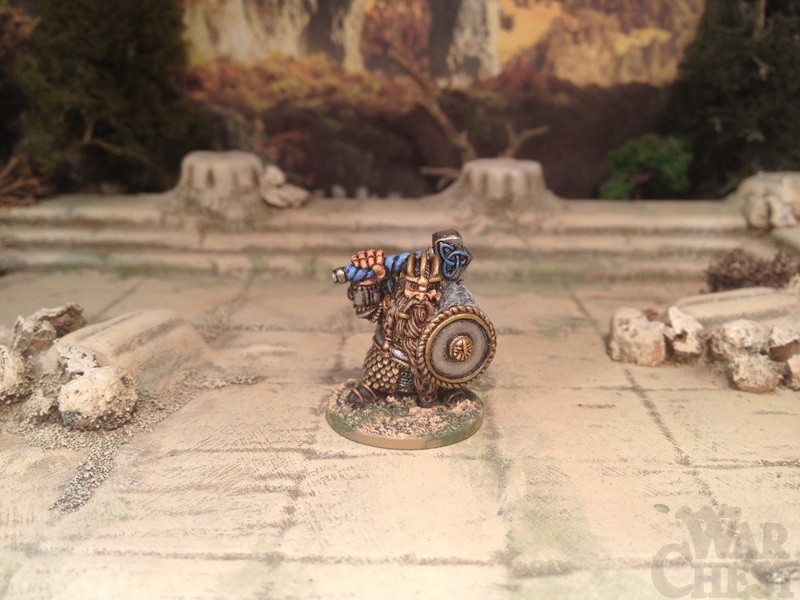 You may well know of my love of 15mm but I still love painting up 28mm too! Especially those from the superb Oathsworn. Recently this has been mostly in the form of their Burrows and Badgers range which is quite excellent. 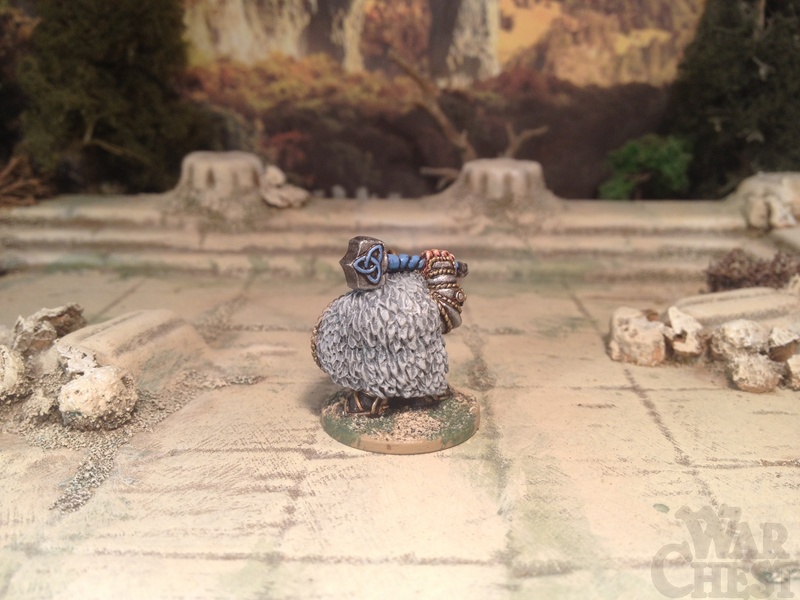 However some time back I managed to score what remained in stock (at the time) of their great Dwarven range (see how I’ve not mentioned the halflings and Sensible Shoes minis I’ve waiting patiently in the wings as well…). 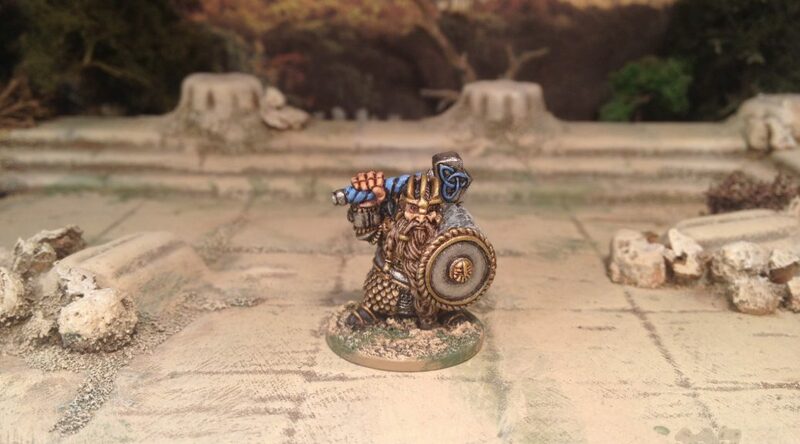 Sadly the dwarves are no longer available on their site. 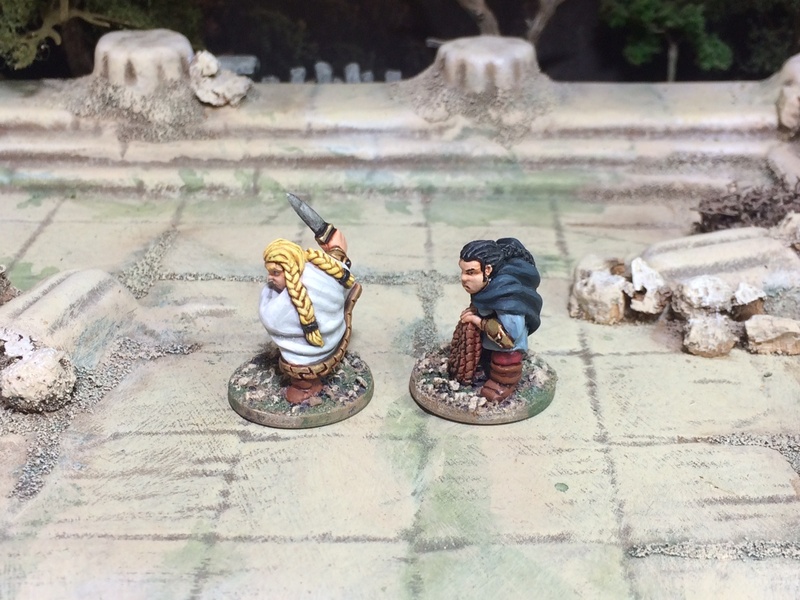 The purchase included these two damsels who wouldn’t look out of place as part of a Frostgrave party. 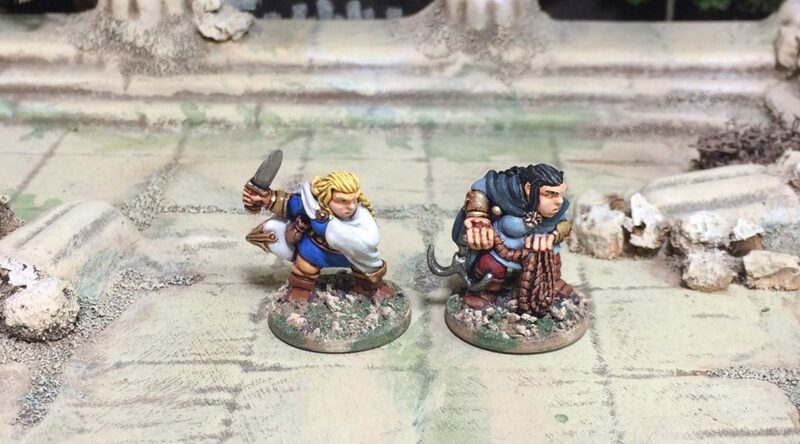 As with all Oathsworn minis, they are full of character and a pleasure to paint. 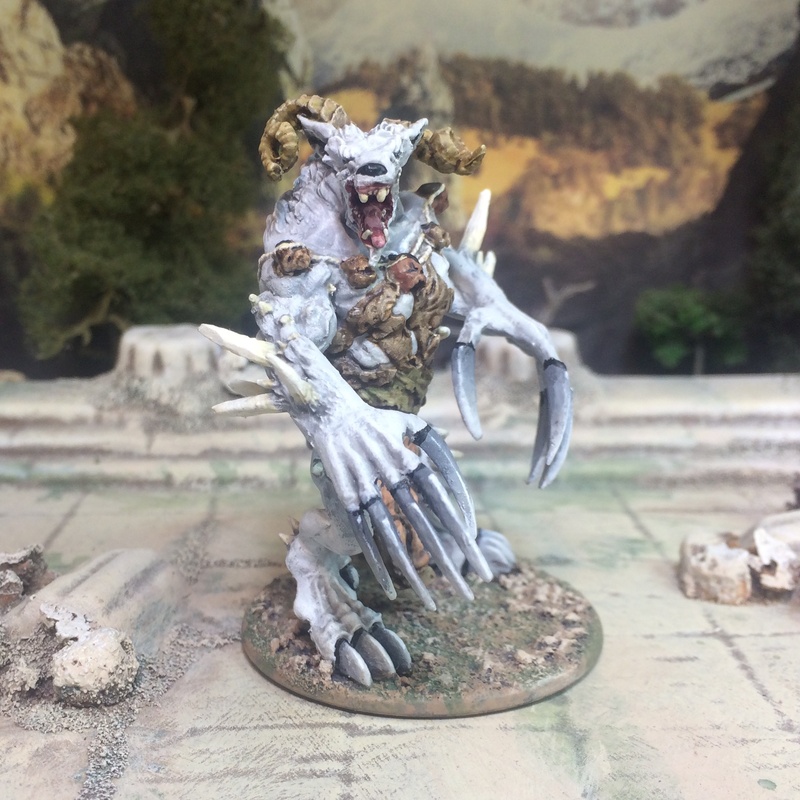 When I say “Halloween Special” I do think the Zombicide Abominalpha is pretty monstrous and suitably ‘horror’. Likewise the two pistol wielding miniatures look very ‘Van Helsing-like’ to justify the otherwise loose use of the Halloween phrase in the post title. That aside, these are a ‘random’ collection of miniatures that I decided to paint up – random in the sense that over time there are certain miniatures in your collection that frequently pop in to your mind from time to time, almost asking “Why have you not painted me yet?” These are a few of the lucky few that I actually decided that they had been waiting long enough already. First up, the Zombicide Abominalpha from Black Plague. 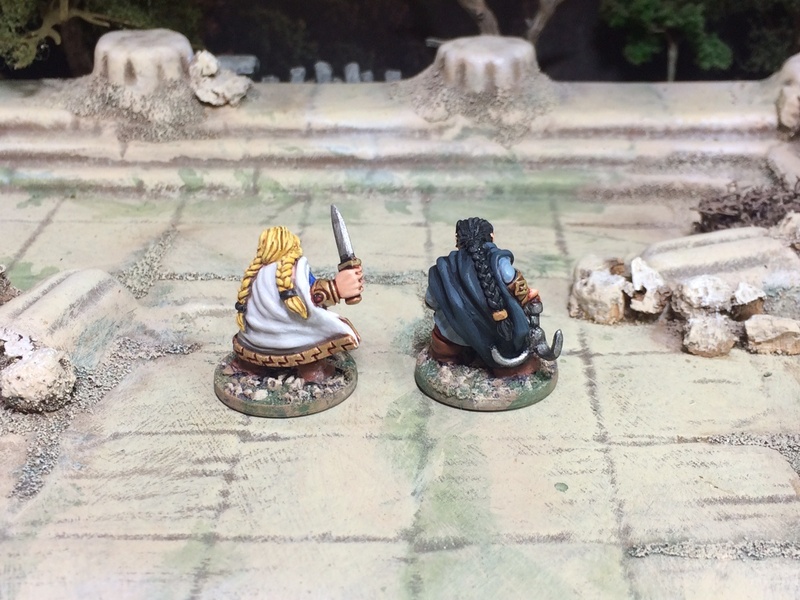 In the first picture next to a standard size 28mm from Hasslefree Miniatures. It was a number of years ago that I first came across Oathsworn Miniatures and have acquired (if not painted) quite a pile of lead from them. Never disappointed with anything I’ve bought from Michael or Jo who also happen to be excellent. 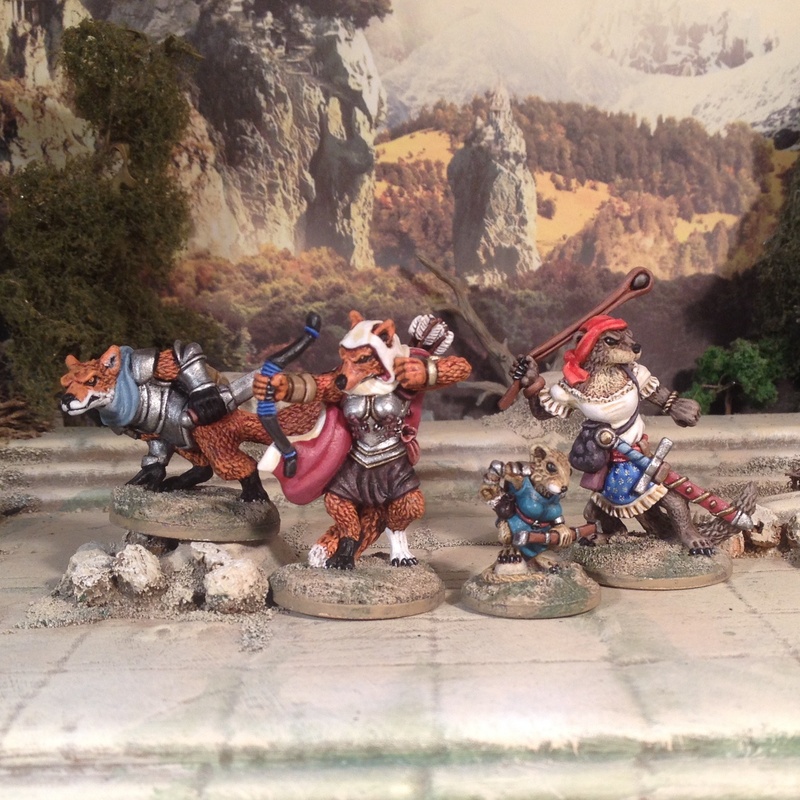 The dwarves and sensible shoes miniatures are fantastic but it is the Burrows and Badgers anthropomorphic miniatures that really attract me to Oathsworn. Whilst I have curbed my purchasing of miniatures in general over the last couple of years it is with great pleasure that I continue to see Michael and Jo’s business go from strength to strength. Join their communities on Facebook – Oathsworn and a dedicated Burrows and Badgers group. 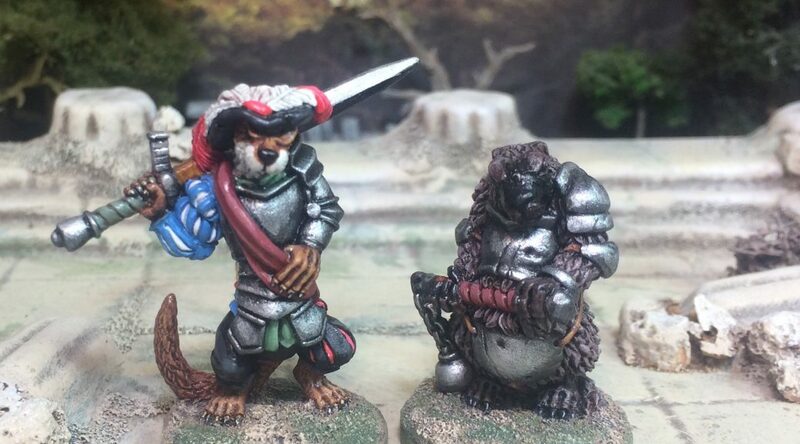 It has been a while since I painted up any B&B lead in my possession so took the time to pick out a couple more recently – the excellent Landsknecht style Otter and the heavily armoured Marmot. More will follow. 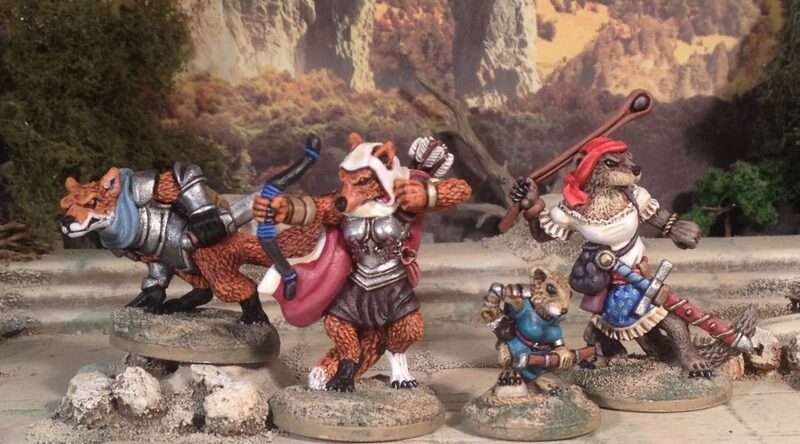 They have been finished for awhile and pics sitting to be posted, so I thought with Oathsworn running a modest one-day ‘flash’ Kickstarter for some more fantastic Anthropomorphic Fantasy Woodland Animals in 28mm that I should post this in their honour/tribute. 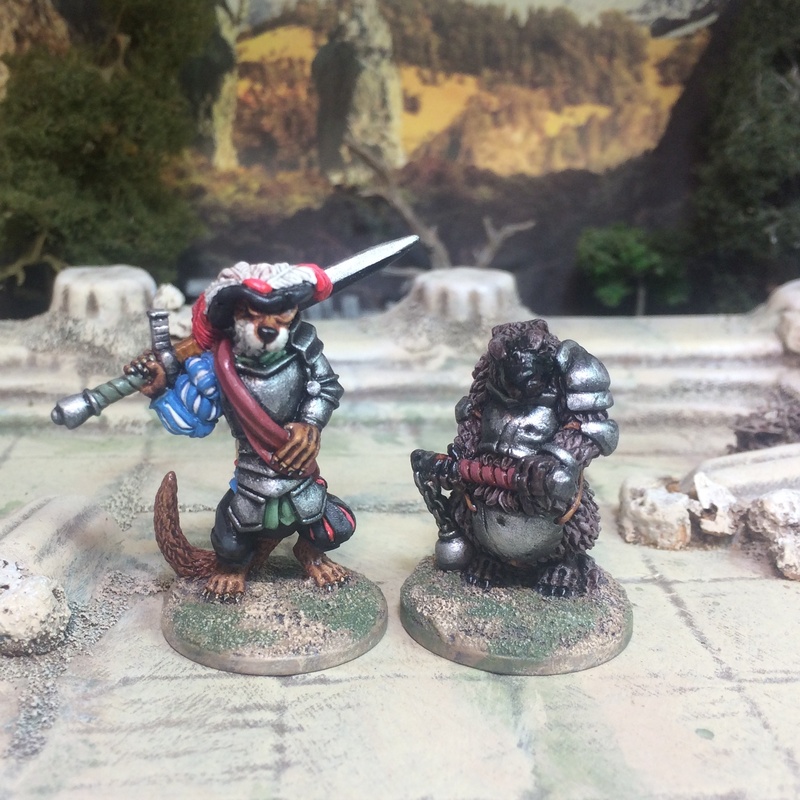 Check it out here – Burrows & Badgers: New Blood. 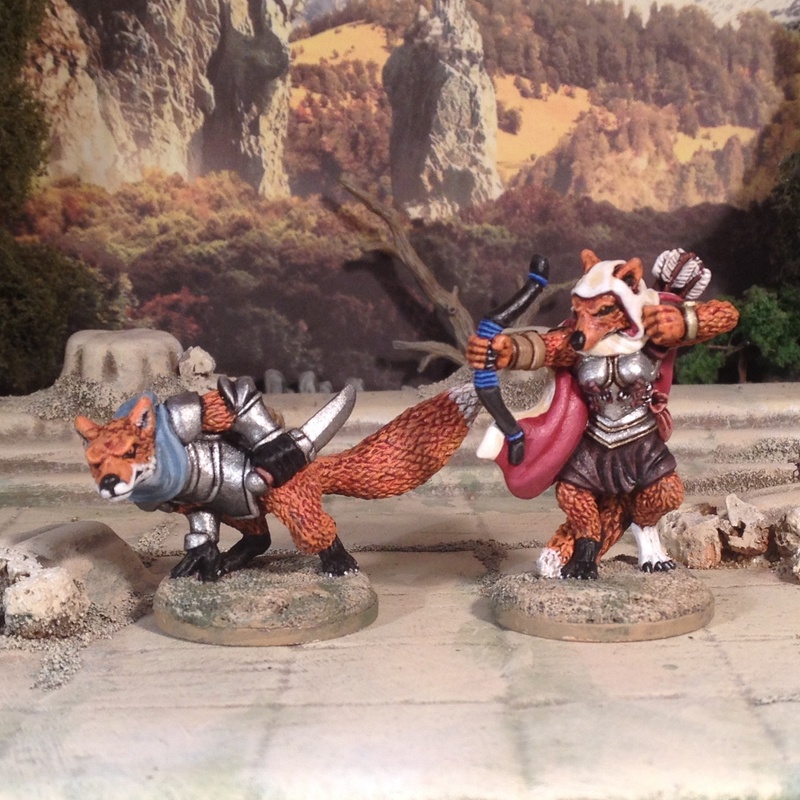 And also to say thanks for creating such great miniatures. My support is guaranteed. Mr and Mrs Fox. A formidable looking pair. If you back a Kickstarter you hope its going to be fulfilled. Even better when it’s on time. But I wasn’t prepared for them all arriving at the same blinking time! I’m sure their creators have conspired to have delivery of pledges all to fall in the same space of a few weeks. 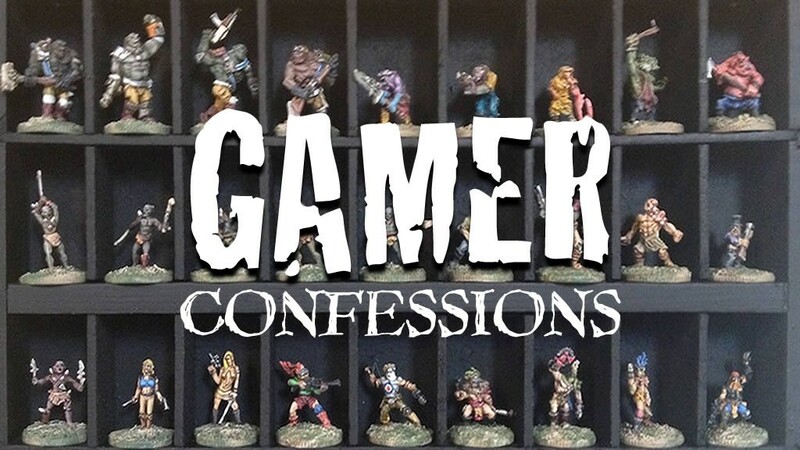 Here is the confession – what I’ve received in the course of the last few weeks, why I fell for it in the first place and what I thought of the goodies when they arrived. Summary Verdict: High is good. Guilt Burden: Low is good. First off a real chunk of gaming-goodness arrived – Zombicide Black Plague in it’s entirety (Base game + expansion and add-ons). In short, nigh on two hundred 28mm miniatures (no, I’m not going to count them). At the price point, I couldn’t resist this neat little dungeon crawl set of terrain and miniatures from Spain. Very nice in the flesh. 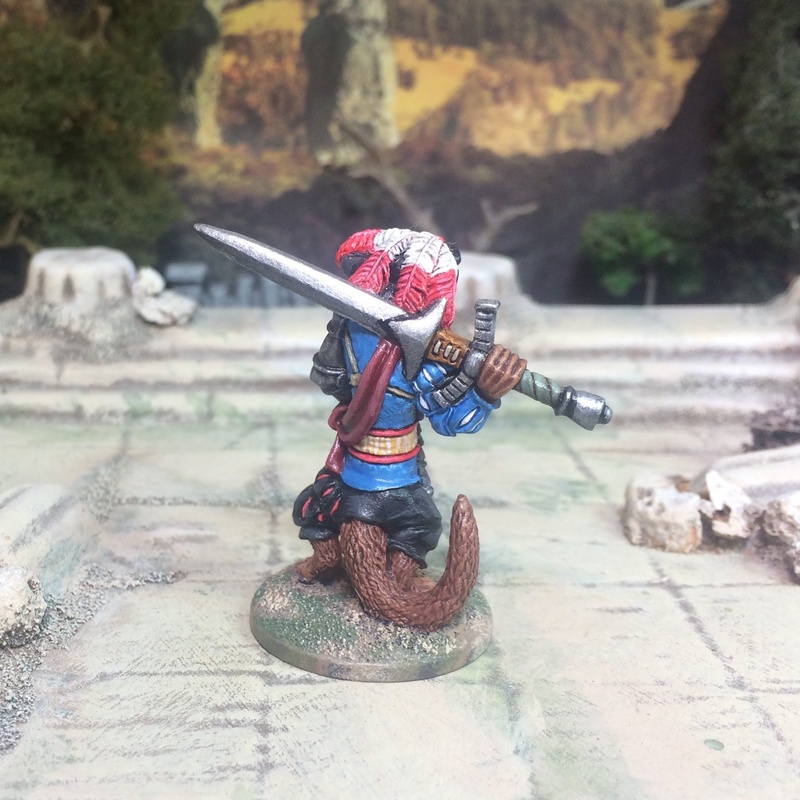 Scales great with 15mm. Already painting it up. Considering returning for more dungeon furnishings. Quite a lot of painting to get it game ready. Big fan or Oathsworn so had to jump on this one. 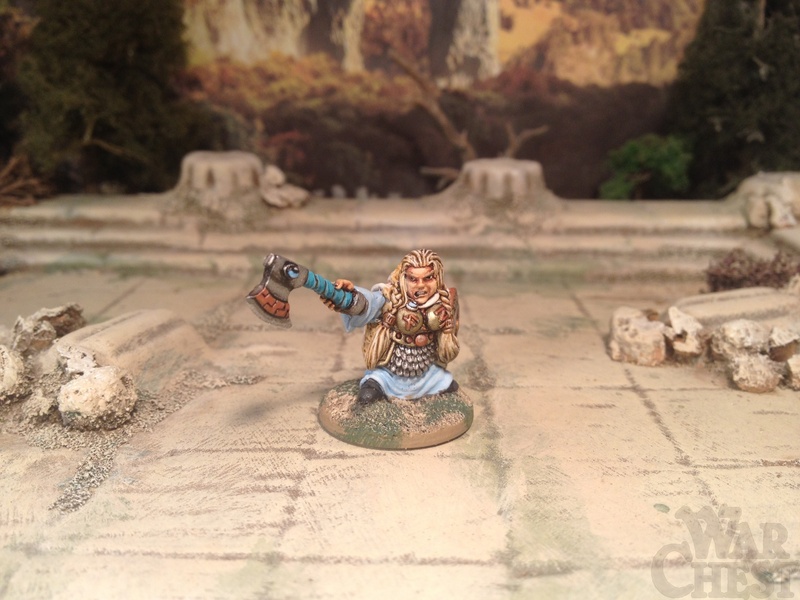 Great character sculpts for any number of skirmish game systems. 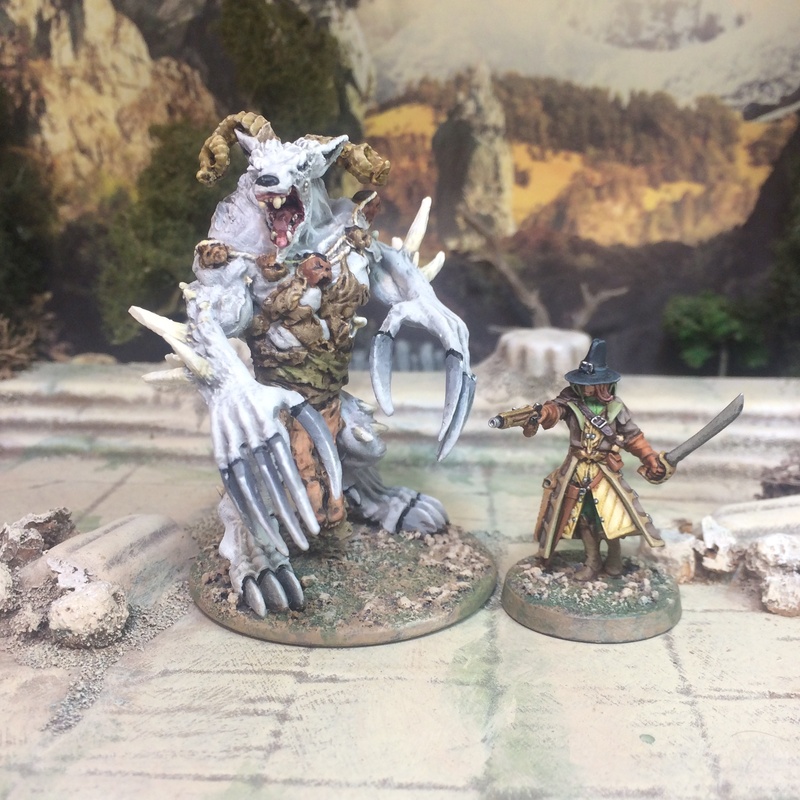 I did resist jumping on to the second Kickstarter more recently due to bouts of leadenitus (guilt derived from amassing too much lead miniatures). 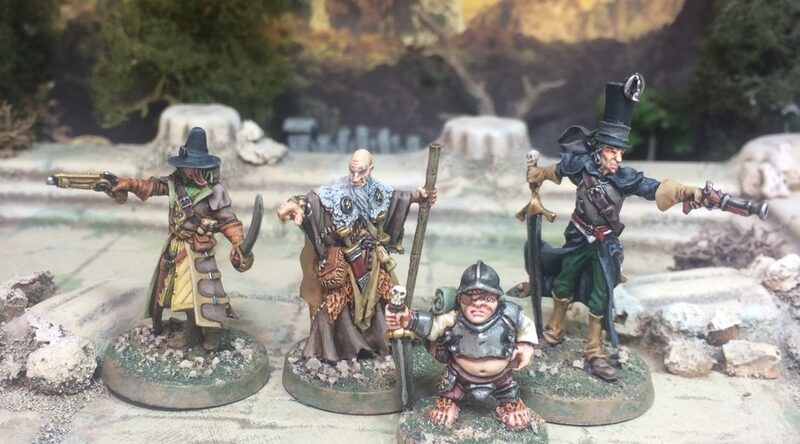 As I now juggle between both 15mm and 28mm on a more regular basis it feels like ‘overall’ progress slows right down (you’d expect a 28mm miniature to take twice as long to paint as a 15mm but in reality – for me – it’s more like 3 times if not more). 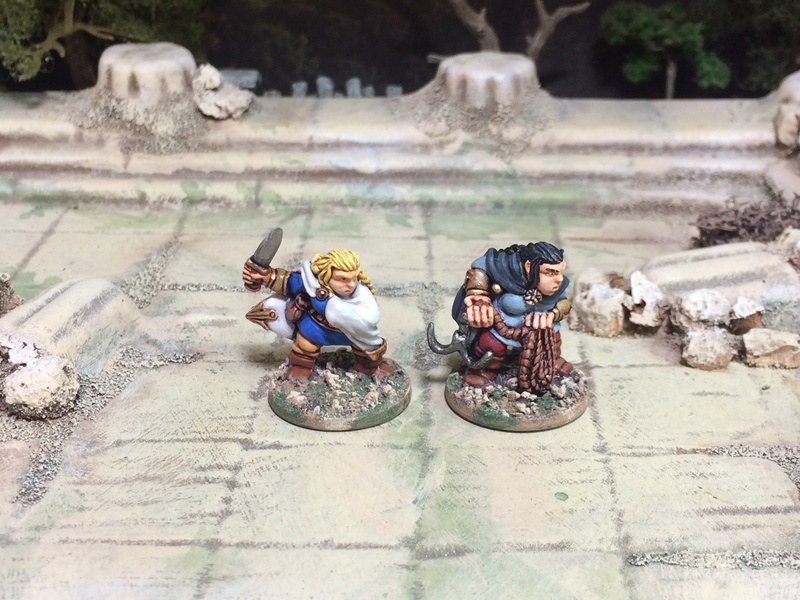 Here are a couple of dwarves painted up – several more to follow along with a generous amount of halflings to boot. Show these guys your support for the smaller business by buying here.